Held in 1742, the conference hosted 24 German clergymen, including Henry Muhlenberg. However, tensions were high between the pious and orthodox sects both in American and abroad. The creators of this conference intentionally excluded orthodox representatives, who in turn disrupted the meeting. No progress was made at this time. The Ministerium operated informally until a constitution was established in 1781. Known as the German Evangelical Lutheran Ministerium of North America, its members spanned much of the colonies – from New York down to the Carolinas. Over time, Lutheran congregations formed similar ministeriums, so the name was changed to The Ministerium of Pennsylvania and Adjacent States. Throughout the 1900s, the various congregations were unified several times. The most recent of these is the Evangelical Lutheran Church of America, which was established in 1988. Click here to add this stamp – and its history – to your collection. The stamp shows dates “1483-1983” 500 years. what happened in 1483? 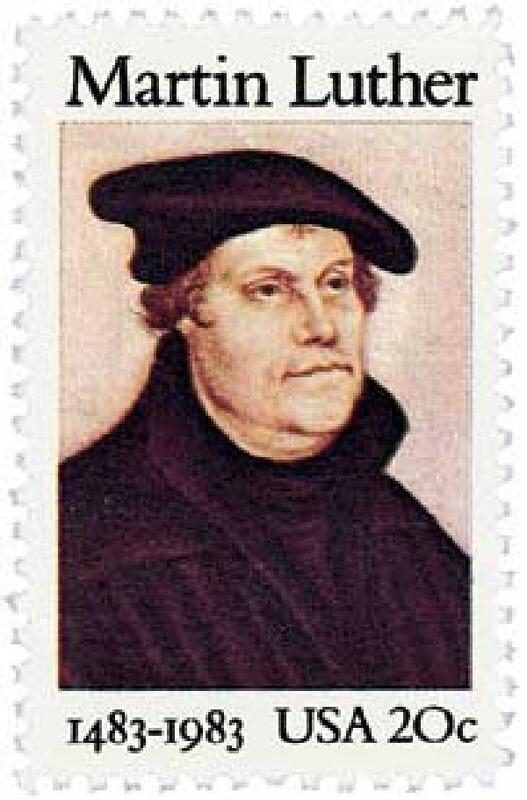 1483 is the year Martin Luther was born.